Neil Young is perhaps one of the greatest singer-songwriters from the 1970s and is known for hits like “Cinnamon Girl,” “Old Man,” and “Ohio.” He also worked extensively with the bands Crosby, Stills, Nash & Young and Buffalo Springfield. In addition to his musical endeavors, he also has an impressive collection of classic cars. Recently, Neil Young’s Buick Roadmaster Skylark convertible from 1953 was sold at Julien’s Auctions in Los Angeles for $400,000. This beautiful red convertible included a steering wheel hub that says, “Customized for Neil Young,” and was in impeccable, restored condition. Along with this classic car, more than 230 of Young’s model trains were put up for auction. Altogether, the Lionel trains fetched almost $300,000. Young has said that he started collecting model trains to help connect with his son Ben, who was born with cerebral palsy. A portion of the proceeds from this auction will go towards the Bridge School in California, which was co-founded by Young’s ex-wife Pegi Young in 1986 for severely disabled children. We at Rivard Buick GMC would love to take a drive in that beautiful red Buick Roadmaster Skylark. 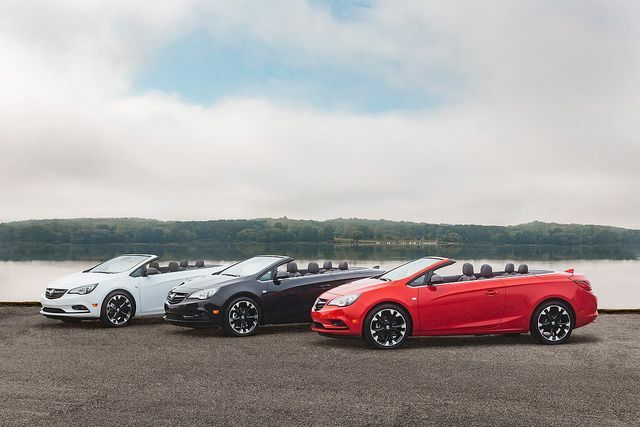 If you are looking for your own Buick convertible, come test drive the sophisticated Buick Cascada, available now at Rivard Buick GMC. This entry was posted in Buick Cascada and tagged Buick, Cascada, Neil Young, Skylark. Bookmark the permalink.